A recent introduction to online marketer Ken Wells turned into a captivating telephone interview on Web content. After some thinking and a bit of research, I decided our discussion was good educational material and worth publishing. I’ve added some background info and a few insights to round it out. 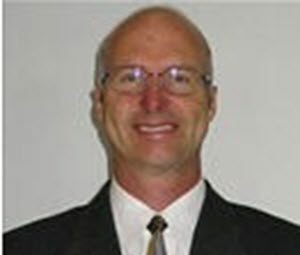 Ken is president of IED Web Marketing and he’s been involved in online marketing for about 10 years. His company offers a full range of digital marketing services to small and medium businesses in the Richmond Hill, Newmarket and Vaughan areas. Testimonials on Google Plus, Yelp, etc. This type of evidence is powerful because it equates to consensus from unrelated parties. Just as people check out comparative software reviews, social proof can sway others if they’re unsure about an impending decision. First, what is a spammy website? Primarily, they’re commercial-advertising sites for doubtful products like sort of-legal services or get-rich-quick schemes. Their sole purpose is to steal personal information like name, address, city, country, credit card/driver’s license numbers and email addresses. Why? identity theft and email lists which turn into spam emails. Before 2011, spam sites used to be frequent entries on 1st pages of the search results due to “black hat” search engine optimization (SEO) tactics. Black hat techniques focused only on fooling the search engines and ignoring human audiences. In Google’s words: “These websites look Ok except that they use hidden text, cloaking (words in black text on black backgrounds), stolen (scraped) text from other sites, and gibberish text not visible to website visitors.” Read the rest of this intriguing article, “Google shows live examples of web spam,” on SEOProfiler Blog. When looking objectively at the site, is the primary focus the user need or the business goal? Producing informative Web content aimed at your customers’ interests and priorities is a necessity, not an option. Regardless of how or where you meet a new contact, they’re going right to your website to check your company out. When they get there, they’ll be scouting around scanning text as they go. The more interesting things there are to read, look at or watch, providing you’re covering interesting topics in an interesting way, the longer they’ll remain on your site: absorbing your marketing messages and developing trust in you. Content communicates your understanding of your customer’s problems, expectations and what the Hubspot folks say delights them. It demonstrates your company’s values, expertise, service and grasp of your customer’s experience. Content, in whatever form it appears, must be educational and customer-centric. Educating involves deciding what topics or aspects to address and communicating their features and benefits succinctly. A sales or marketing background helps because with all the practice and trial and error involved, lessons are internalized. This is especially important for video where you have only seconds to make a good impression. Finally, if Web content is being expressed in words, they must be well-written, meaningful and be engaging – to the point that people are compelled to share them. That would a social share, of course. I knew where he was going with this. It goes further than the old chestnut, “Can you think out of the box?” Common sense only exists among people with common traits, cultures, and backgrounds which gives them a shared perspective. Uncommon sense is based on uncommon thinking which challenges customary ways of perceiving, analyzing, and creating. Uncommon sense is derived from resourceful, creative, limitless, unconventional, lateral, relational, linear, logical, critical, abstract, and unusual thinking. 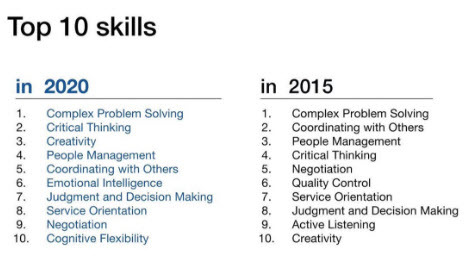 It appears, we’re all going to need uncommon sense to remain employable and vital human beings. Up until the mid to late-2000s, traditional marketing methods still directed the promotional affairs of business. These included: direct mail and area mail drops to neighborhoods, trade shows, press releases, advertorials in newspapers, telemarketing, newspapers themselves and so on. In the majority of cases, it wasn’t possible to track responses accurately so formulas and generally accepted guesstimates developed. This means that billion$ have been wasted throwing the equivalent of high-quality spaghetti at the wall – and seeing if it would stick. In short, the primary advantage of digital marketing is accountability as every action taken by visitors or recipients can be tracked and analyzed. One of my earlier website writing clients told me he’d mailed out 2000 brochures in 2003, then endured a zero response rate. Contrast: his optimized website attracts new customers from across the country and a referral program encourages existing clients to help others. Secondary advantage of digital marketing: If the target audience’s desired actions fail to meet expectations, testing can be conducted and the results integrated into updated content, strategies and campaigns. For those steeped in, and trusting of, traditional marketing methods, accepting-adapting to marketing done in a digital world can be difficult. A former 15-year VP of marketing for a national car rental corporation, now running his own company, website freshly completed, expressed misgivings about the effectiveness of blogging. Overall, though, there was no way of tracking how many mailed offers resulted in sales or if the conversion rate varied between industries; in addition, each letter was unexpected by the recipient so who knows what happened to them. I pointed out that his Google Analytics’ indicated: 1) Page views & time-on-site were up 30% (to 5 minutes+) from the time before the site was finished, 2) Returning visitors had increased by 10%-15% and, 3) The bounce rate (people landing on site and leaving immediately) in his target areas had reduced to 20% – and people were reading my 2 blog posts. What about incoming phone calls? Up as well, and from first-time callers. However, his direct mail paradigm made him pause and blogging ceased. Since that time, “the numbers” noted steadily declined. Understanding the damaging effects of a discontinued blog on a company’s brand, I kept in touch with him by forwarding his latest stats, blog post ideas and even roughed out a content strategy. Last week, he called to express his concern about a competitive threat in his local market. Specifics: he bought his business from a man who decided retirement didn’t suit him and who had recently re-entered the market with a similarly named venture. To create some distance in the search engine rankings between my client and his rival, I reviewed some knowledge picked up in Search Engine Journal seminar on local SEO link building – and revisited blogging. He didn’t go for it. I don’t think he trusts social media and sees my blogging fee as an unnecessary expense. 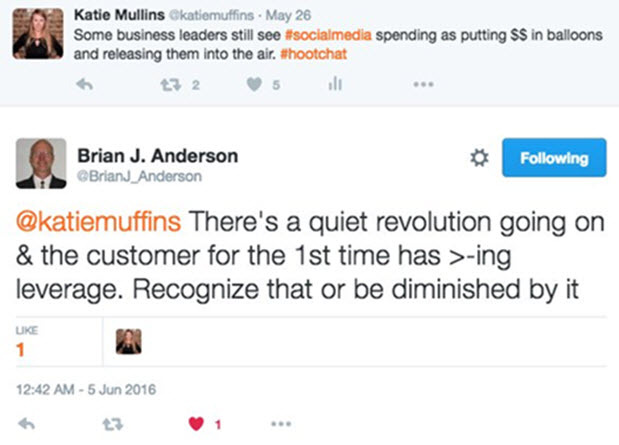 This quiet revolution is based on a power shift favoring the buying customer. This will be the subject of my next post.